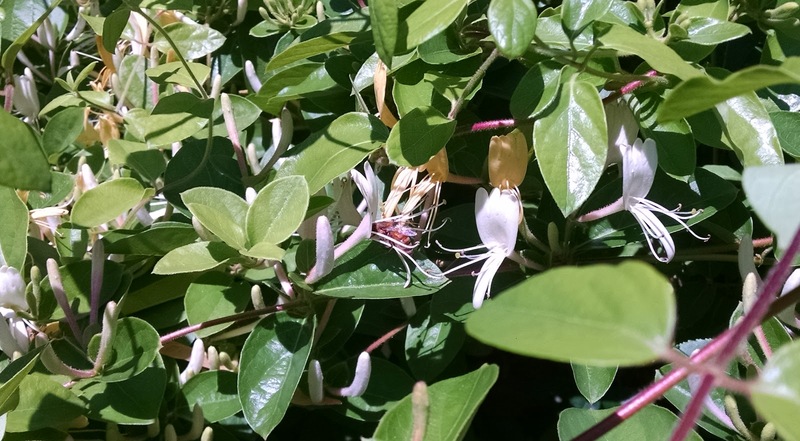 Right in the middle is a bee in a honeysuckle flower. It's a beautiful, sunny day and I was outside in the garden. The bees seem to have found the honeysuckle, finally, and I watched a few buzz from flower to flower. 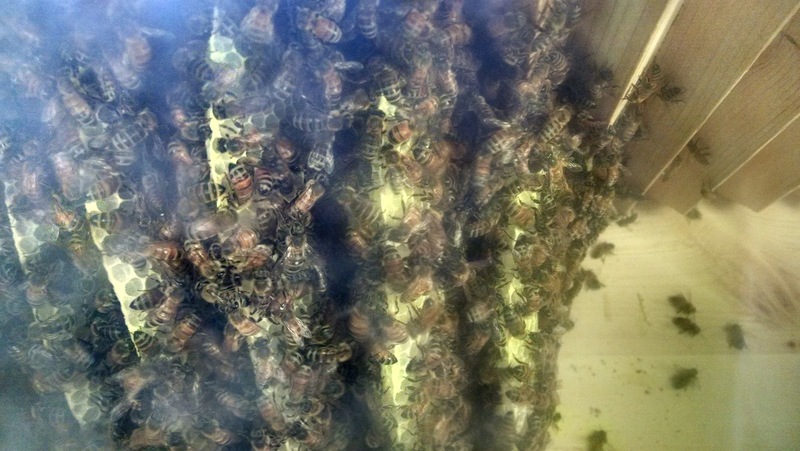 When I went out to the hive and peeked in the window, I was shocked at what I saw - there are six bars with comb on them and the beginnings of a seventh! I still can't see any capped cells, which might indicate new bees, but I suspect they are they and are in the middle, under all the bees. I can really only see the edges. Then I watched the bees fly in and out for a little bit. I could definitely see the returning bees were carrying pollen. Some of the pollen looked rather red or dark orange. I wonder what flowers they visited? It is very hard to take photos through the window.